Refer to Figure 2. 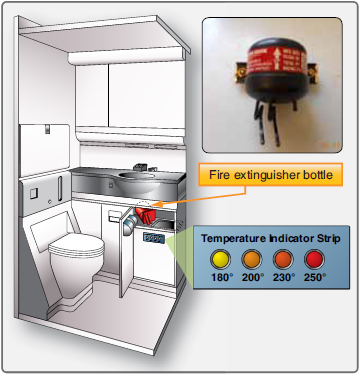 The lavatory smoke detector is powered by the 28-volt DC left/right main DC bus. If there is smoke in the sensing chamber of the smoke detector, the alarm LED (red) comes on. The timing circuit makes an intermittent ground. The warning horn and lavatory call light operate intermittently. 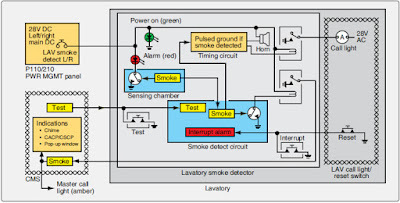 The smoke detection circuit makes a ground for the relay. The energized relay makes a ground signal for the overhead electronics unit (OEU) in the central monitoring systems (CMS). 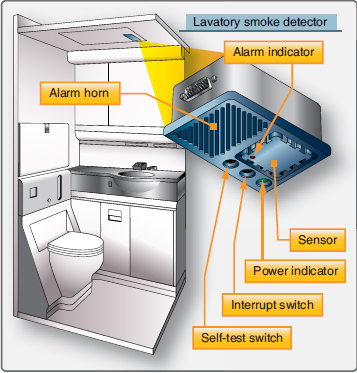 This interface gives these indications: lavatory master call light flashes, cabin system control panel (CSCP) and cabin area control panel (CACP) pop-up window shows, and the lavatory call chime operates. Push the lavatory call reset switch or the smoke detector interrupt switch to cancel the smoke indications. 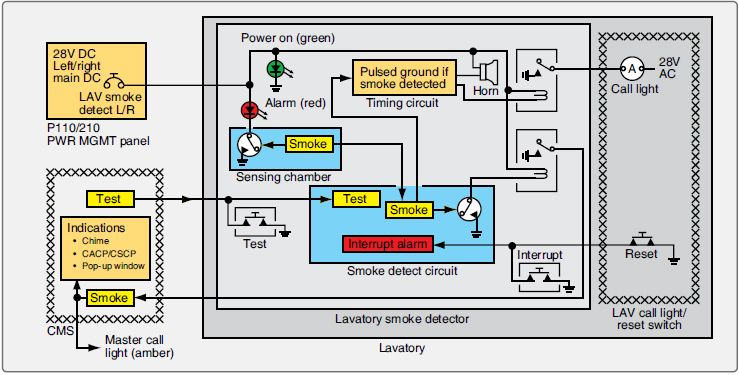 If there is still smoke in the lavatory, the alarm LED (red) stays on. All smoke indications go away automatically when the smoke is gone.